‘The Notorious’ Conor McGregor faces off against Khabib Nurmagomedov ‘The Eagle’ as the main event at UFC 229 in what has been billed as the biggest fight in UFC history. The Lightweight championship bout will see the long-anticipated return of McGregor who will fight Khabib Nurmagomedov – a fighter with an unblemished record at this level. Read on for the odds and our Conor McGregor vs Khabib predictions. Casuals combat sport fans might be surprised to learn that the William Hill traders have priced up Khabib as the betting favourite for this super fight, with his odds projected at a 8/13 pick. Meanwhile McGregor’s chances are less fancied at 13/10 odds in the bout betting predictions. Our Conor McGregor vs Khabib predictions swing the way of the traders and we forecast a defeat for McGregor on his return to the Octogan. The Irishman spent nearly two years out of UFC before signing a highly-lucrative six-fight deal with the company back in August. During his time out of the game, Mcgregor was involved in a number of controversies and legal cases managing to sneak in a incredulous boxing fight against Floyd Mayweather in-between. His opponent Khabib meanwhile was quickly ascending up the UFC fighter ladder, defeating Edson Barboza and Al Iaquinta to set up this championship fight – the first defence of the lightweight title that was stripped of Mystic Mac in 2017. Khabib has won all 26 fights he has partaked in whilst never losing a round. 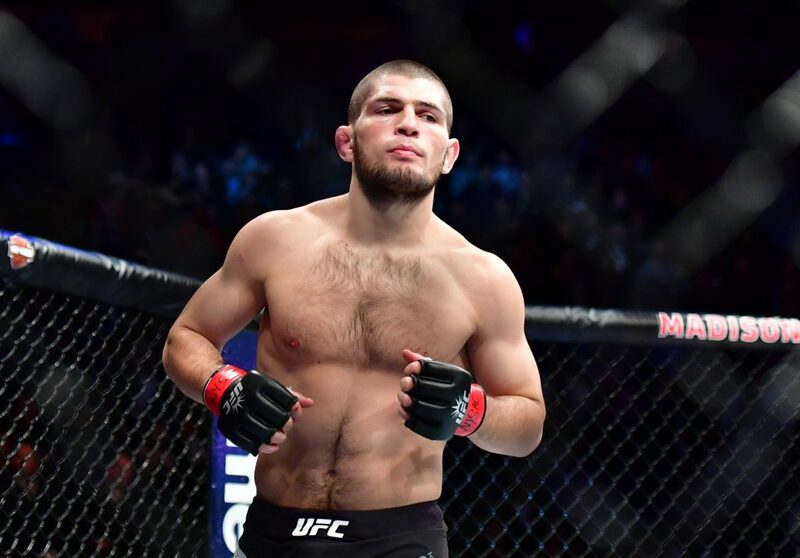 Read up on Khabib’s past struggles with making his weight class in our Conor McGregor vs Khabib weigh-in article. Betting prediction: Conor McGregor to win by KO/TKO in round 1 or round 2, trading at a 5/2 pick. The last time McGregor came into Octogan as the betting underdog, he knocked out Jose Aldo within 13 seconds. In fact, of McGregor’s 21 wins, he’s won 13 of them within the first round and a further six bouts by the second. Most recently, six of his last seven wins have come in either round with all but one by a way of a knock-out. Mystic Mac’s left hook is a notoriously potent striking move, often referred to as the ‘touch of death’. McGregor’s consecutive victories over Chad Mendes and Aldo each won Performance of the Night and those victories were a result of powerful left-hand hooks. At projected odds of 5/2 – by special request of #YourOdds – our Conor McGregor vs Khabib predictions reckon this punt should be well worth your consideration if you’re backing the Irishman come Saturday night. Khabib is renowned for his ability on the floor, grappling opponents in locks and forcing them into submissions. The Dagestan-native employs a Sambo and Judo fighting style when he fights, a method that has proved extremely successful for him in the Octagan. Therefore, his approach to this bout will be relatively straight forward – take McGregor down and try and beat him with pure ground and pound. As each round passes, the chances of a McGregor knock-out decreases. No-one is better at grappling in UFC than The Eagle at the moment and it wouldn’t be surprising to see if his entire strategy was based around doing just that. That’s why our Conor McGregor vs Khabib predictions are projecting a win for Khabib by a submission. Slowly chipping away at McGregor, targeting his lower body and then pounding him on the floor will be the way to go; especially for a fighter like McGregor who has had conditioning issues in the past. All three of Mystic Mac’s professional defeats have come by way of submission and his last fall when facing Nate Diaz came when McGregor tried to move up weight too quickly. Piling on mass too quickly was the Irishman’s undoing as he crashed in the second round. At enhanced odds of 3/1, our betting pick is for Khabib to secure a win by way of submission.